Fatboy Slim’s song, “Praise You”, was released in 1999 on the album, “You’ve Come a Long Way, Baby”. Posing as Richard Koufey, Jonze danced along with a bogus dance troupe, Torrance Community Dance Group, outside a local film theatre in Westwood, California. Halfway through the video the owner of the owner of the theatre comes out and turns the boom box off. Undeterred, Jonze and team find another boom box and continue their dance moves to the sounds of Fat Boy Slim. Spike Jonze directed the video through The Directors Bureau. He is now represented through MJZ. Editor was Michael Heldman at Spot Welders. Post production was completed at Method Studios by lead 2D VFX artist Andrew Eksner and visual effects executive producer Neysa Horsburgh. Norman Cook, also known as Fat Boy Slim, appears at the end of the video. Spike Jonze is the pseudonym used by Adam Spiegel. Spike Jonze’s music video won awards at the 1999 MTV Video Music Awards that year. He accepted the award in the guise of Richard Koufey. The video is available on Palm Pictures DVD, “The Work of Director Spike Jonze“. The DVD includes “Torrance Rises”, a thirty minute documentary on the Torrance Community Dance Group’s preparation for the ‘Praise You’ video. Read Michael Gier’s recollection of taking part in the Torrance Community Dance Group, at both the original stunt in Los Angeles and the special appearance at the MTV Awards night in New York. 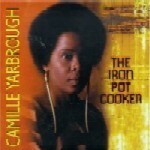 ‘Praise You’ is Fat Boy Slim’s remix of the chorus of ‘Take Yo Praise’, by African American activist/poetess, Camille Yarbrough, found on her album, Iron Pot Cooker. I’m so glad your mine. I’m going to please you every way I can.